Love is definitely in the air! 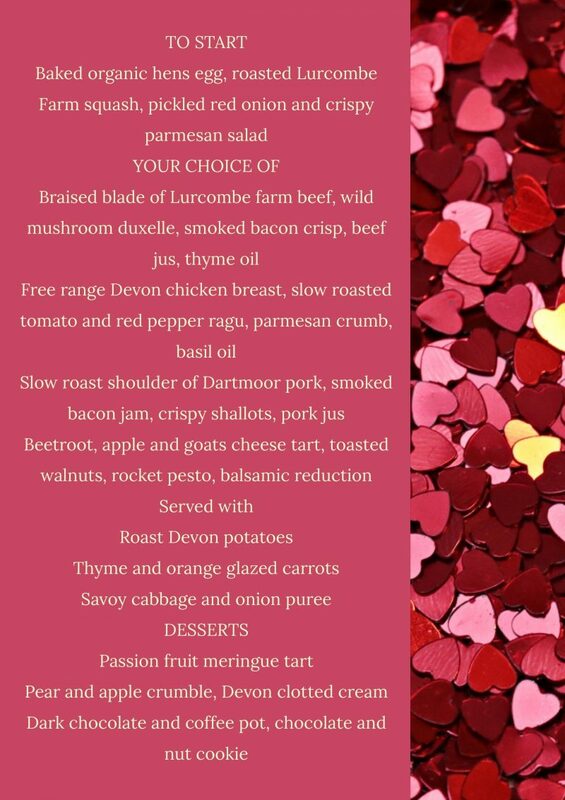 We are fully-booked for Thursday 14th (special Valentine’s Dinner) and fully-booked for Friday the 15th, but have a handful of tables left for the 16th of February. If the menu above tempts you for Saturday night, don’t delay, as we expect this evening to fill up soon as well. Book online now.